Representative Paul D. Ryan isn't just a Republican congressman from Wisconsin, a health nut or a deer hunter who makes his own bratwurst. He is what some small-business owners are calling a "bold" choice for vice president. Over the weekend, presumptive Republican presidential candidate Mitt Romney surprised the public by offering his pick of running mate: Paul Ryan, a longtime political operative who also serves as the House Budget Committee chairman. Other politically safer picks like Marco Rubio (R., Fla.) and Rob Portman (R., Ohio) had been seen as front runners. So far, it appears the choice was a good one -- at least as far as some small-business owners are concerned. "Politics has everything to do with business and for those who want to stick to just business are clueless about the relationship between government and business," says Michelle Armstrong an Entrepreneur.com reader. 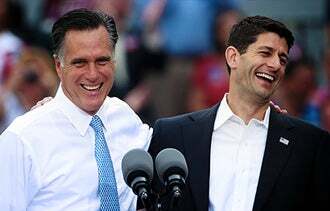 "The team of Romney and Ryan is brilliant. They will lead America back to greatness." Though his entrepreneurial experience is limited -- Ryan spent some time working for his family's construction business in 1997, for instance -- his voting record is long. Here, we attempt to parse the parts that matter most to entrepreneurs and small businesses, as well as determine whether Rep. Ryan would help small businesses get back to work. What will likely get the most attention during the election is Ryan's budget plan, which he proposed as head of the budget committee last year. Among other things, the Tea-Party darling is proposing to trim programs for the poor -- like food stamps, housing assistance and the earned-income tax credit -- over the next decade. His plan would also cut federal spending on Medicare and Medicaid. Instead, Ryan would offer seniors Medicare vouchers to cover a portion of their premiums. He would also make permanent the Bush-era tax cuts, endeavor to simplify the tax code and trim personal and business taxes. But perhaps the biggest element within the Ryan budget involves tackling the ballooning-budget deficit. Ryan's 10-year plan aims to cut the deficit by $3 trillion more than the President’s budget, while reining in spending by $5 trillion more than Obama's plan. "Our budget tackles this crisis head-on by cutting debt as a share of the economy by roughly 15 percent over the next decade, putting the nation's finances on a path to balance, and paying off the debt," wrote Ryan in a March op-ed in The Wall Street Journal. The 15-year congressional veteran also has supported a number of unpopular bills. Among others, there's the bank bailout, or TARP, and a proposal to privatize Social Security. In 2010, he also struck down measures intended to help small businesses by voting 'no' on a bill (HR 5297) that would authorize the Treasury to lend to community banks. The proposed legislation was designed to leverage $300 billion in loans to small businesses. As far as whether Ryan might help Romney in efforts to make small businesses thrive again, business groups aren't saying much. "We don't endorse candidates," says Molly Brogan, a spokeswoman for the National Small Business Association in Washington D.C. whose membership is a mix between Republicans, Independents and Democrats. "Our perspective of picking Chairman Ryan is it sets the stage for pretty serious discussion on the details of tax reform and deficit reduction. We think he brings to the table expertise on taxes and the economy. We haven't endorsed his specific roadmap, but we haven't opposed it either." The U.S. Chamber of Commerce couched its reaction to Romney's pick similarly. "The Chamber does not engage in presidential politics so we are not going to comment on Governor Romney's selection of Paul Ryan for VP," says Blair Latoff, a spokeswoman for the Chamber. "We’ve worked with Congressman Ryan on many important pro-business issues in the past and look forward to continuing that relationship." 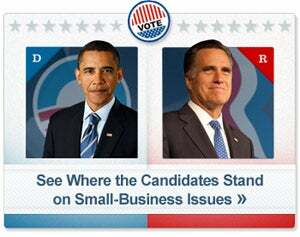 Business owners: What do you think of the choice of Paul Ryan as Romney's VP? Let us know in the comments section below.